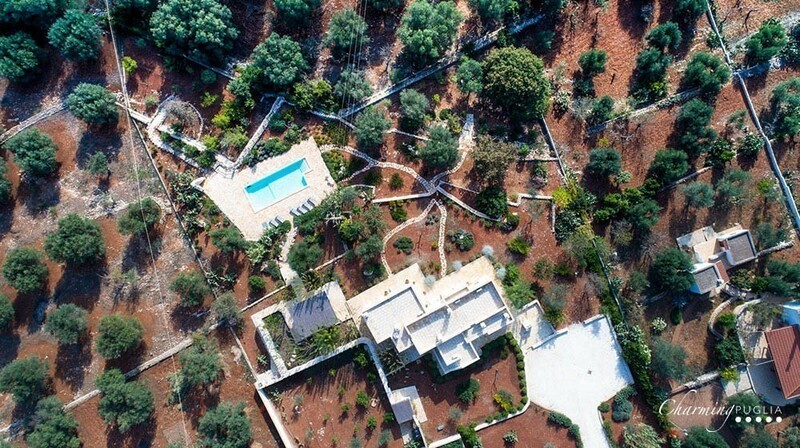 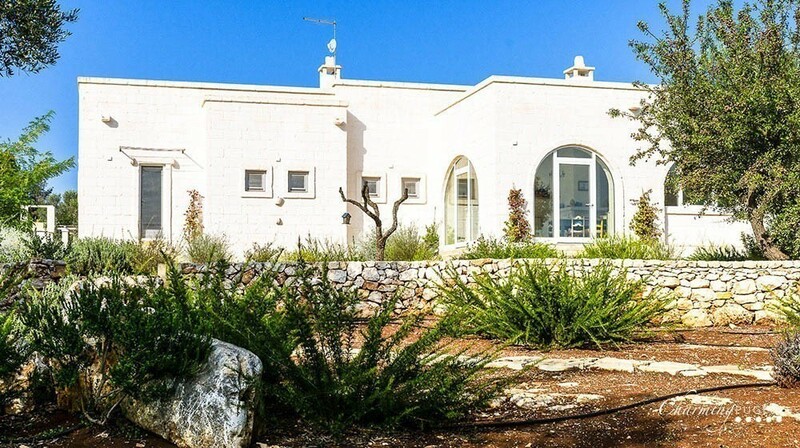 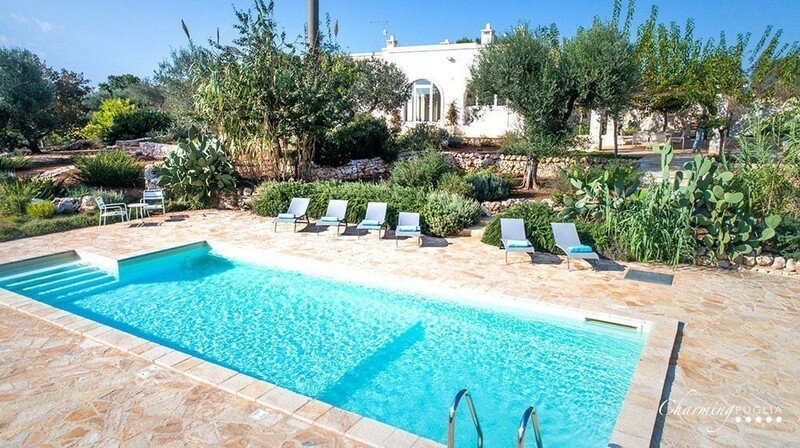 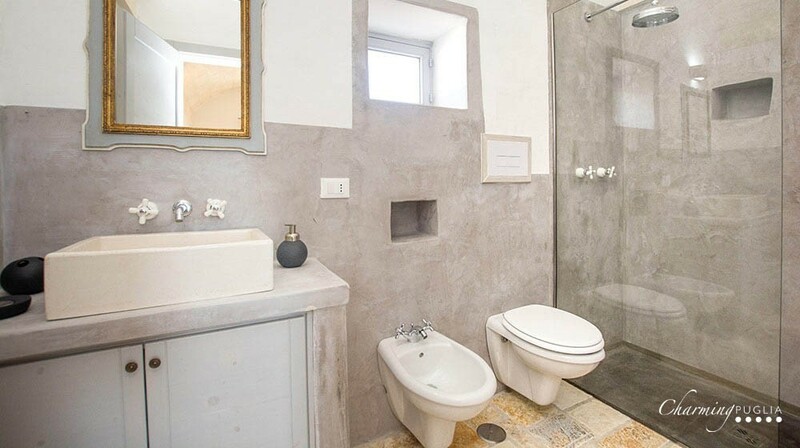 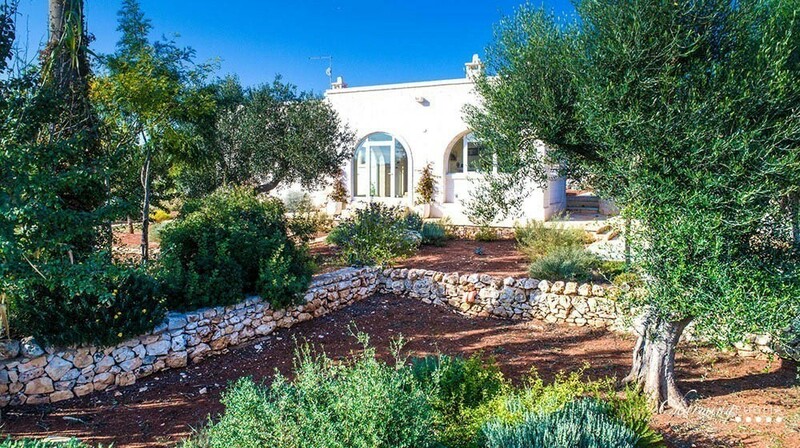 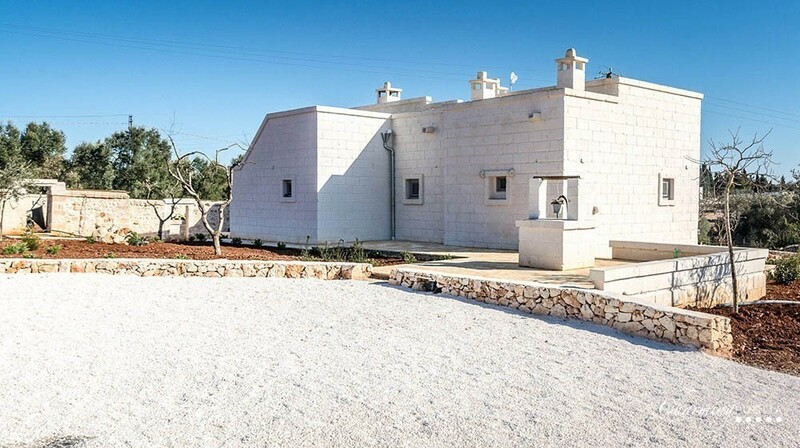 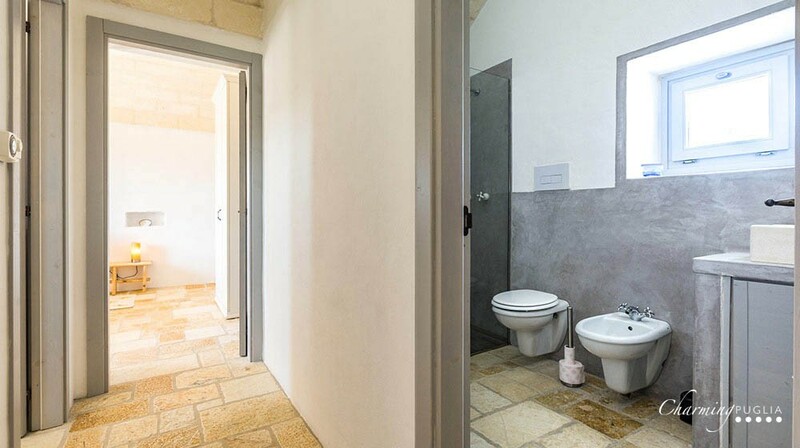 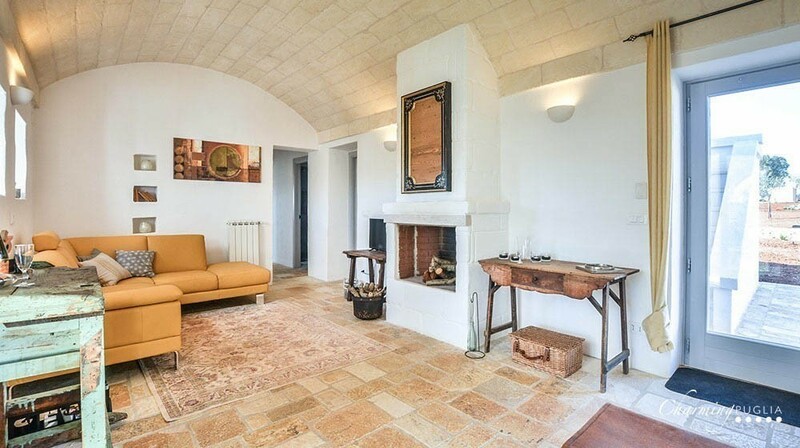 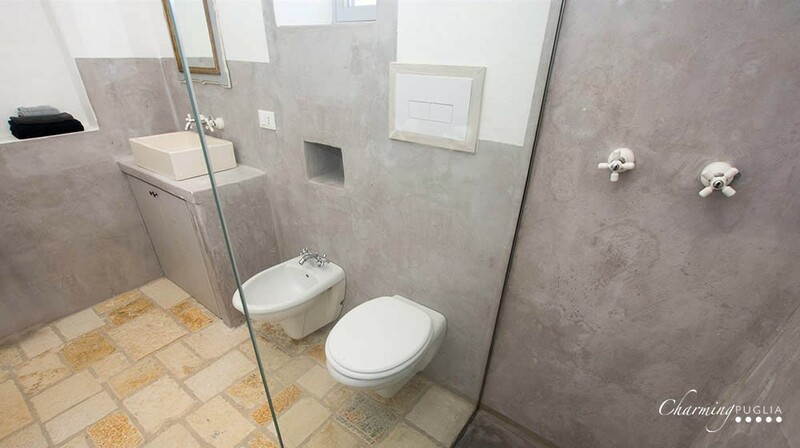 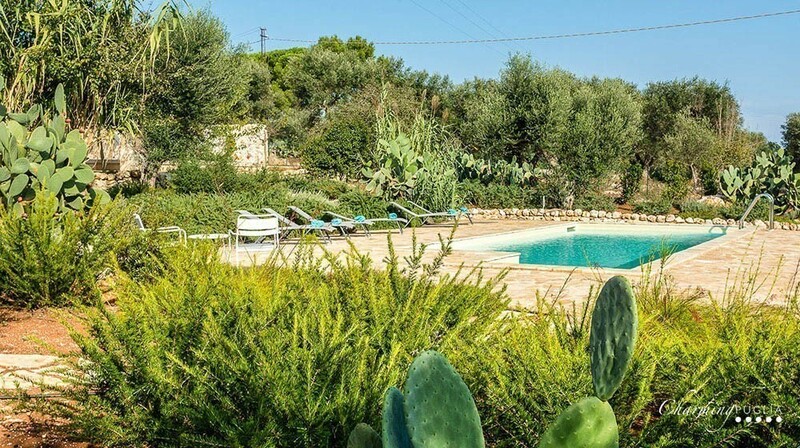 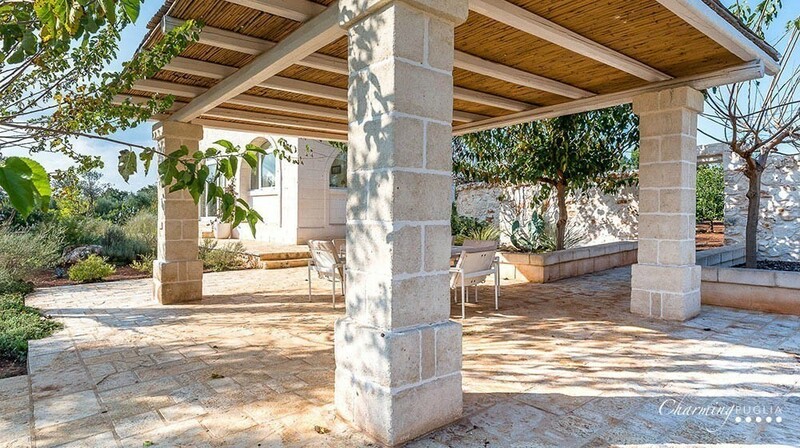 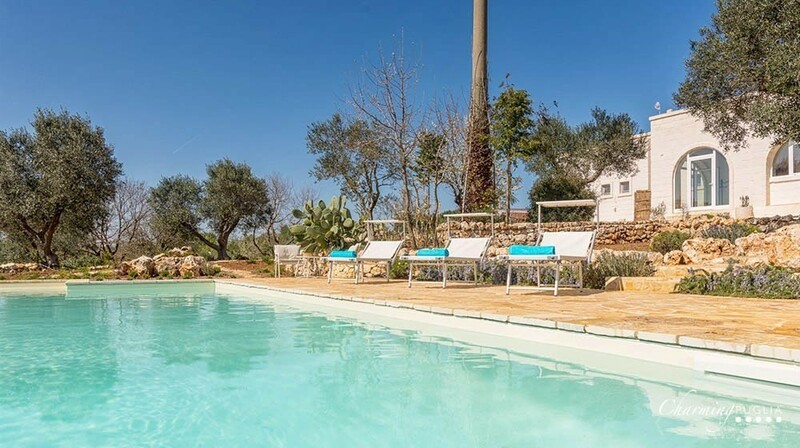 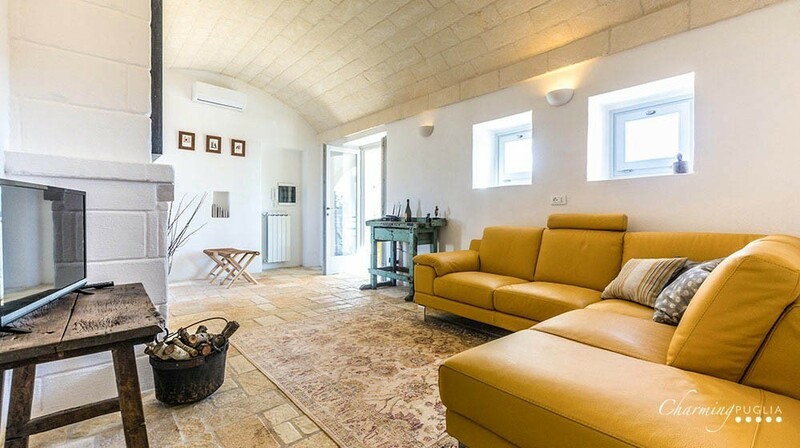 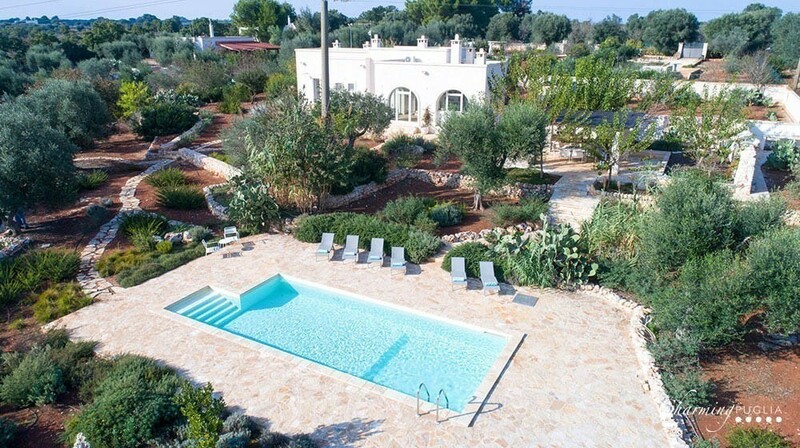 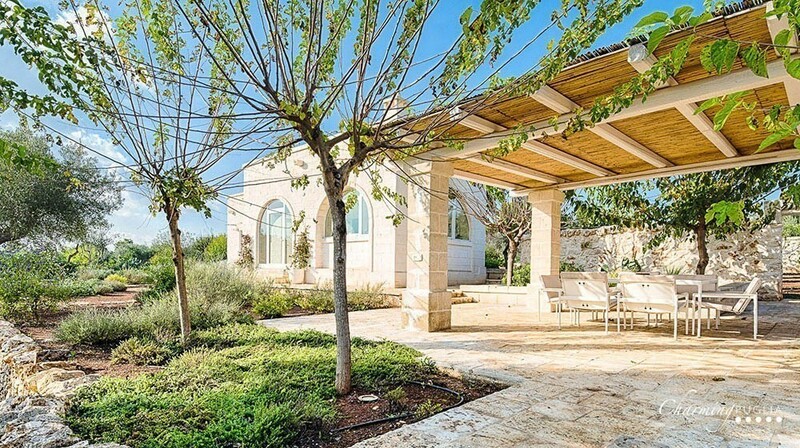 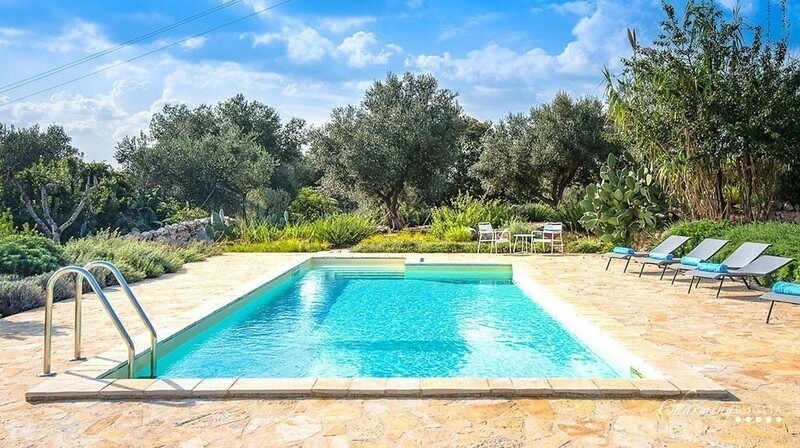 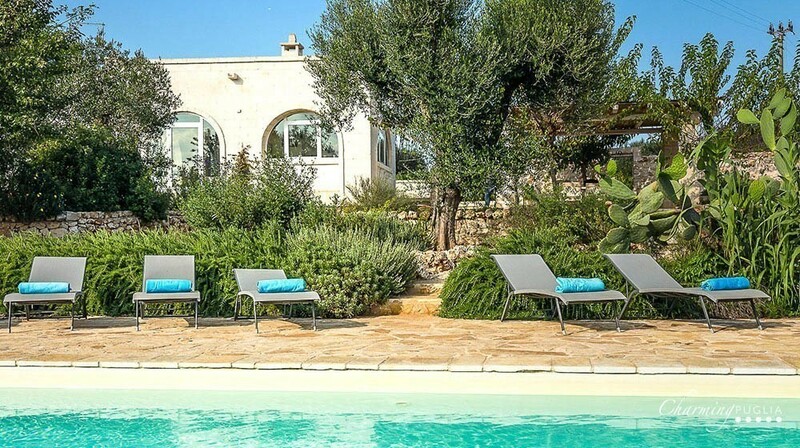 Villa Cristina is situated a very short distance from the towns of Ostuni and Carovigno. 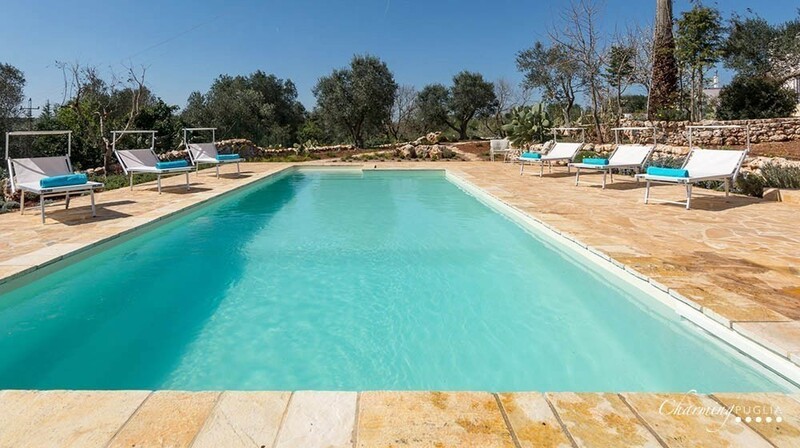 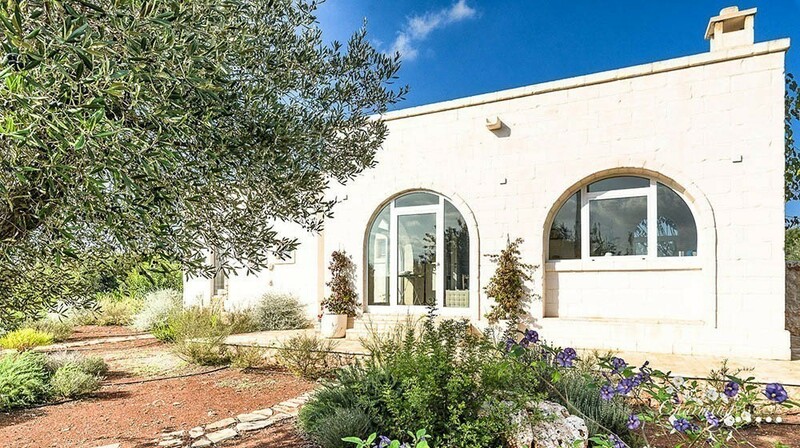 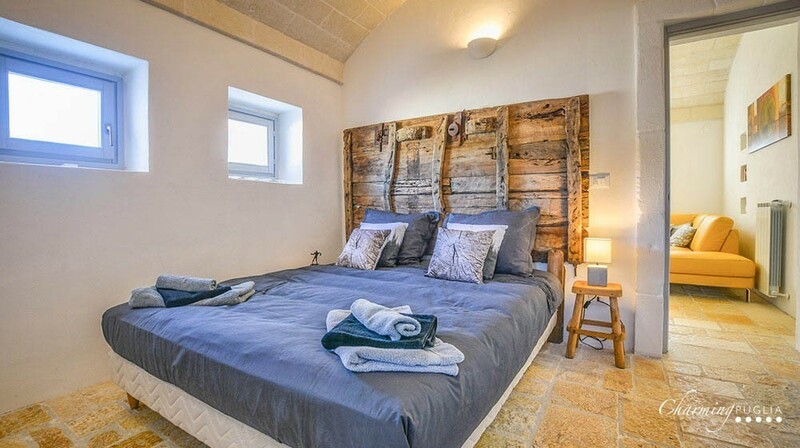 Set in a lush property measuring 8000 m2, with ancient olive trees and stretches of Mediterranean maquis, this is the ideal place for a holiday marked by style and relaxation. 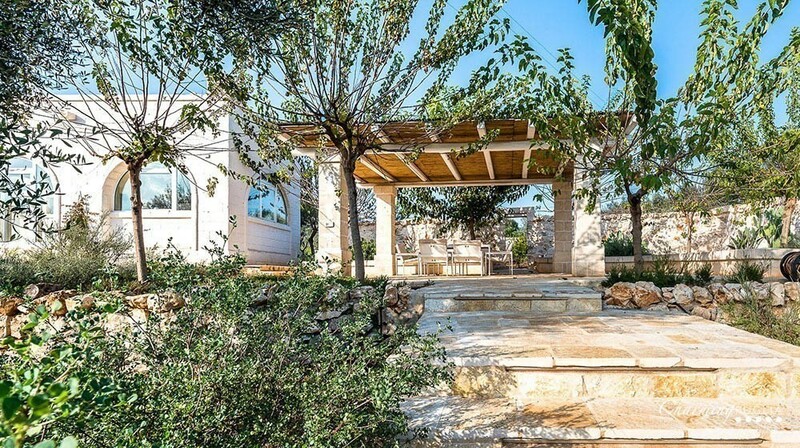 The whole villa is a perfect blend of rustic local style and modern touches, which give it its own particular ambience. 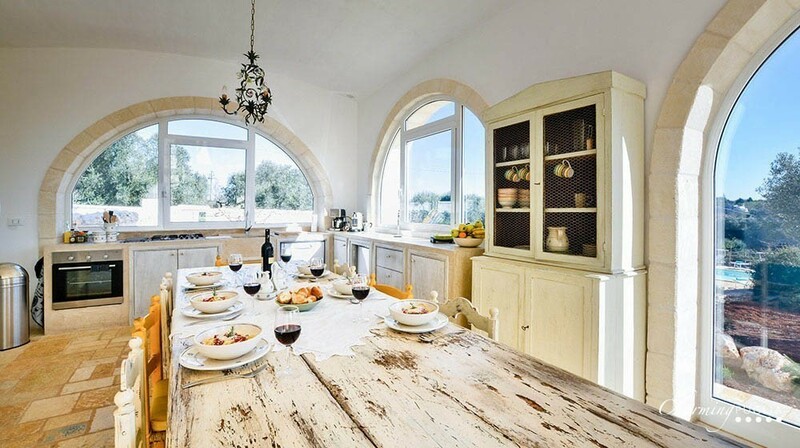 Greeting guests is the kitchen area with attached dining room in masonry, with a fine fireplace to warm the area and create a cosy atmosphere during the winter months. 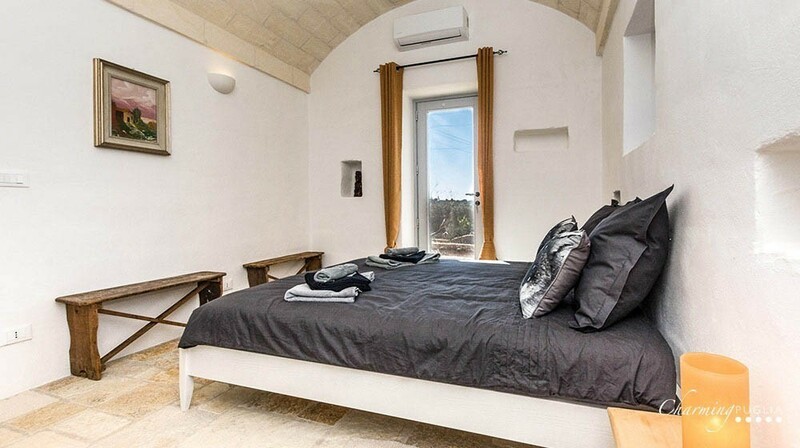 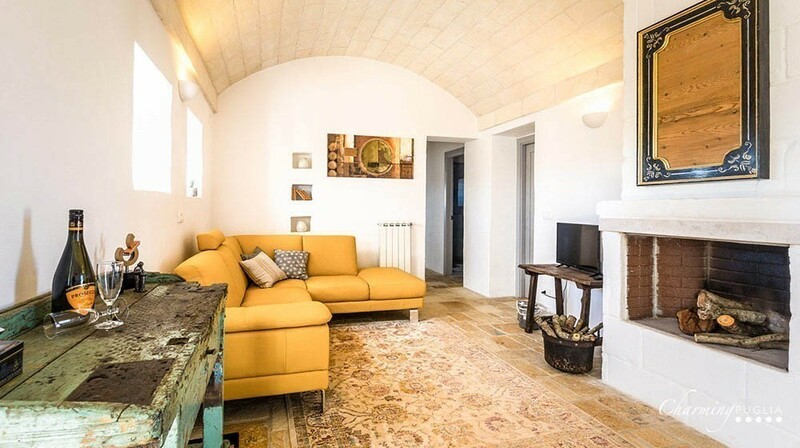 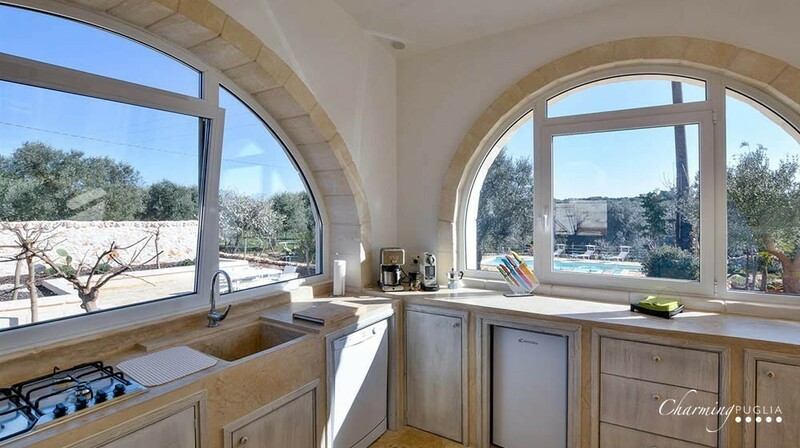 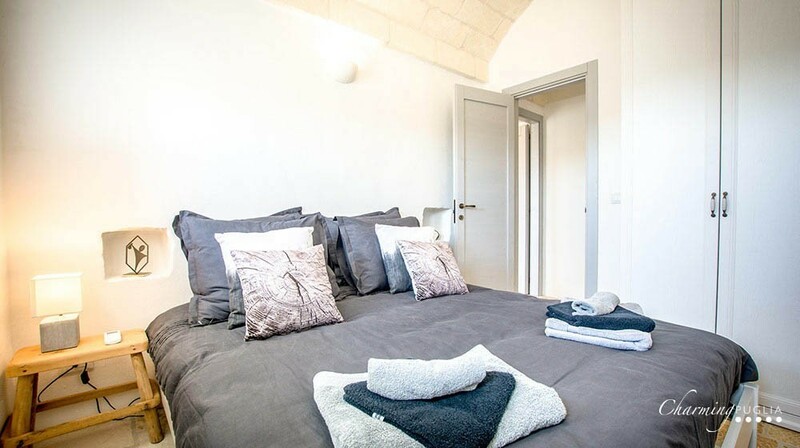 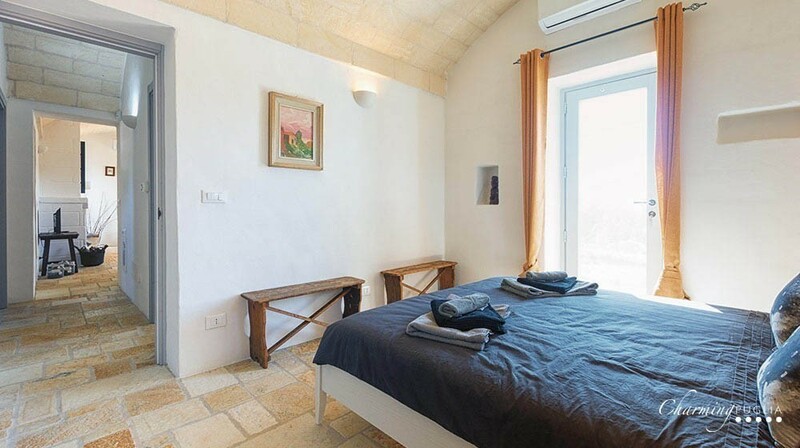 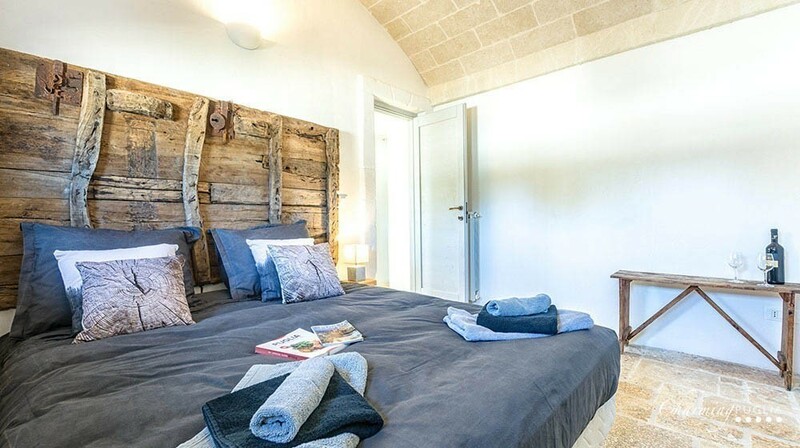 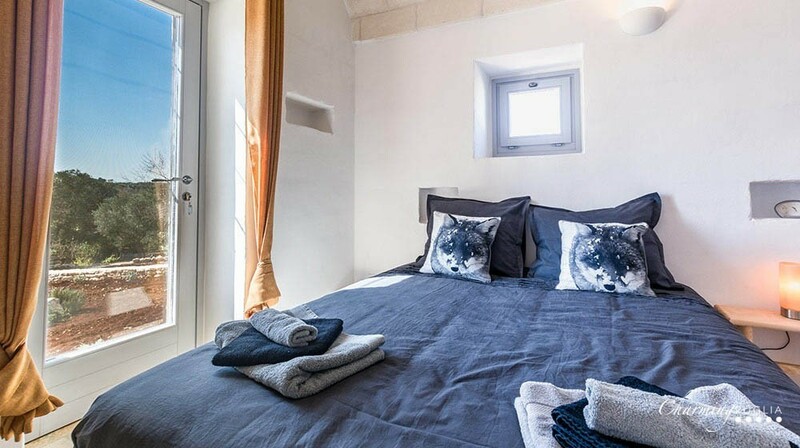 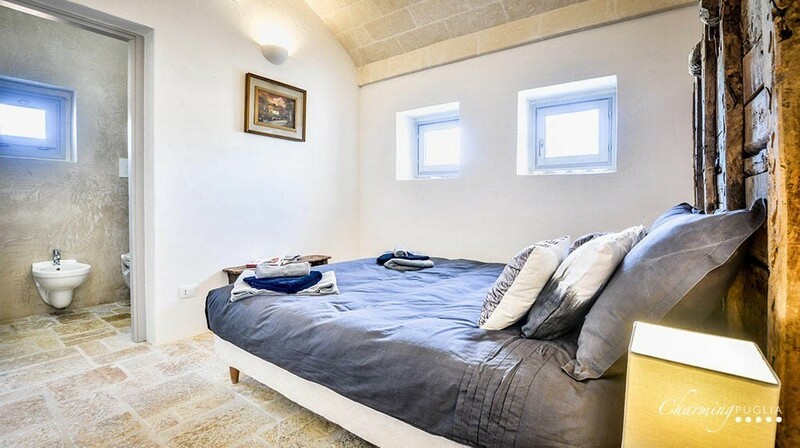 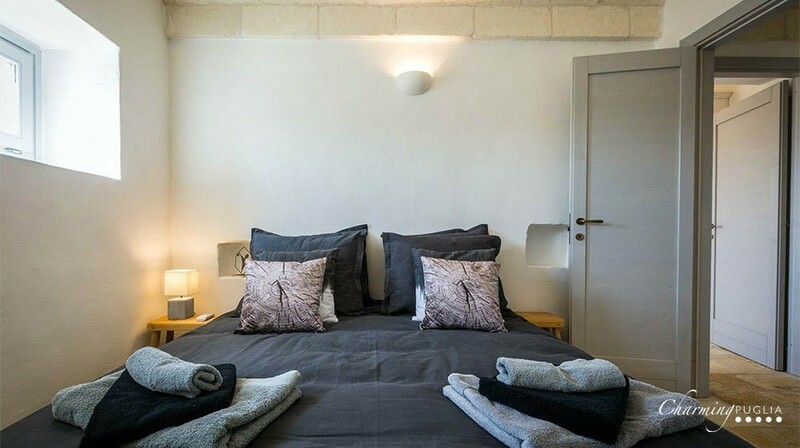 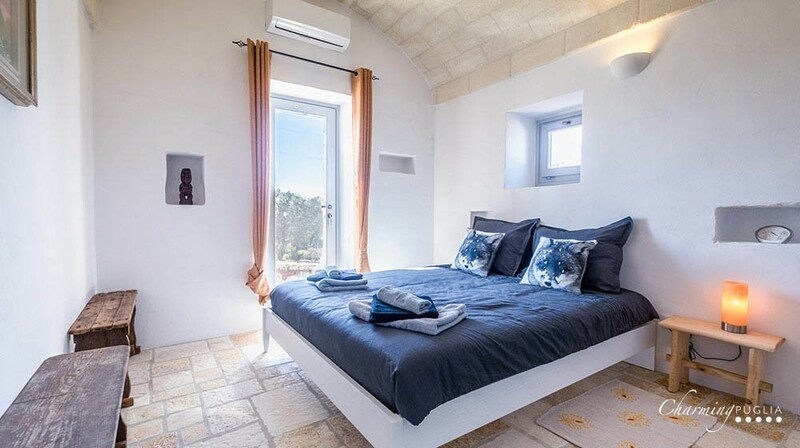 One of the characteristics marking Villa Cristina is the fact that, albeit a new construction, all rooms have the rib-vaulted ceilings typical of local architecture. 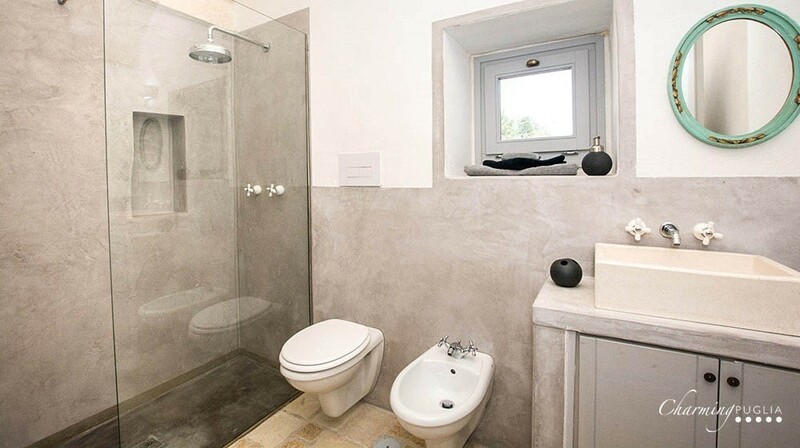 Apart from recalling the ancient style, this design choice also ensures that all rooms are cool even on hot days. 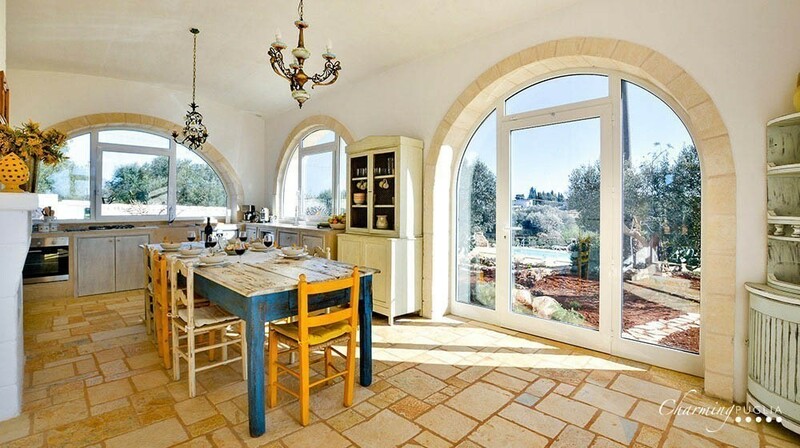 The dining area receives light from the large French windows giving on to the garden and external pool (Pool opening from May 1st to September 30th). 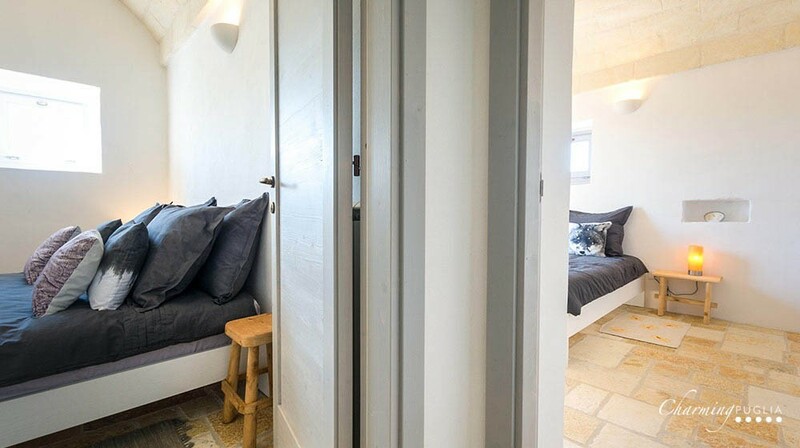 The living area leads to the three double bedrooms, two of which with en-suite bathrooms. 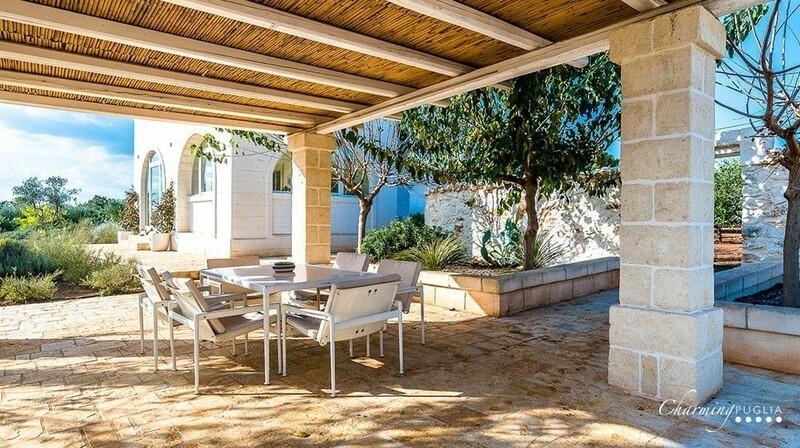 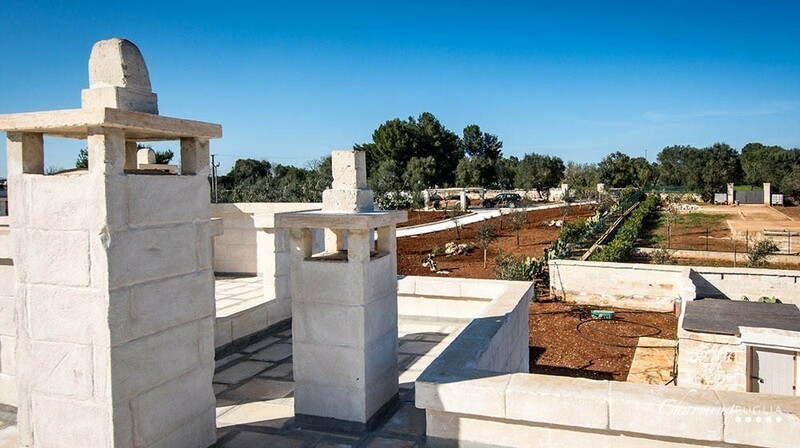 In the exterior guests will find a stone barbecue for ‘al fresco’ meals with a view over the pool. 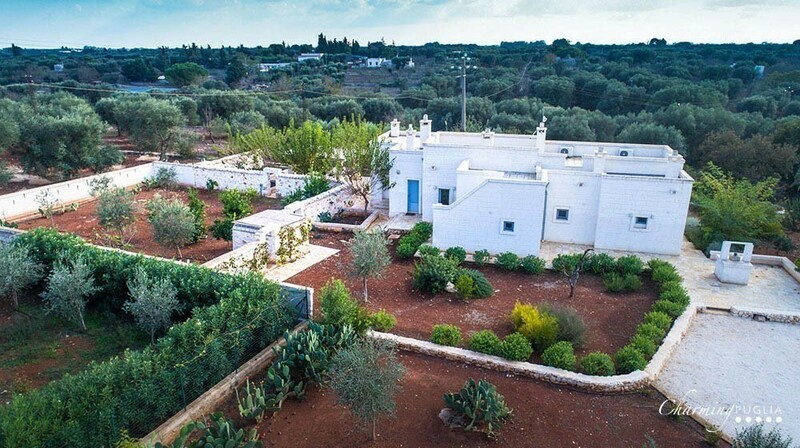 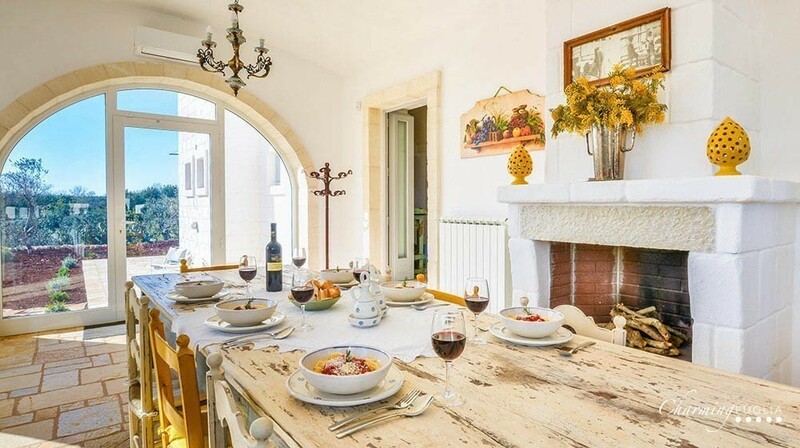 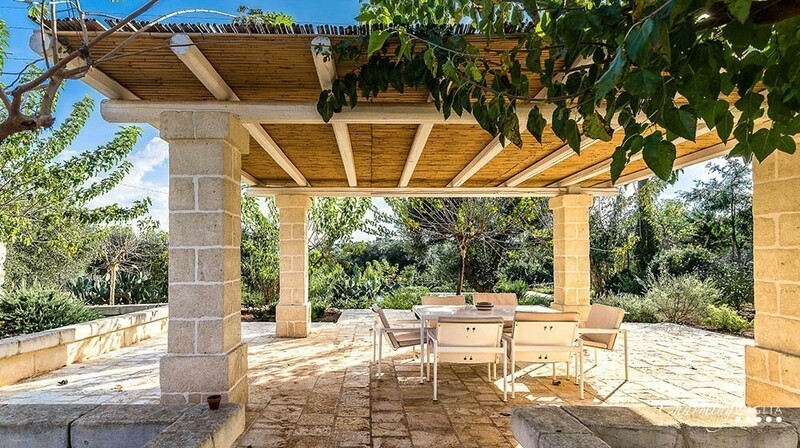 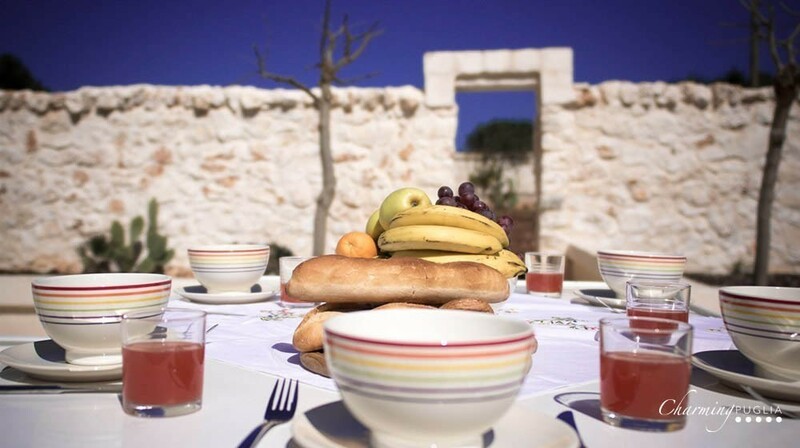 In the surrounding area is the Nature Reserve of Torre Guaceto, while at Ostuni, for food buffs, there is a host of well-known restaurants where you can enjoy authentic ‘Pugliese’ cuisine.